‘Buenos Aires’ is another track we all really enjoyed learning. 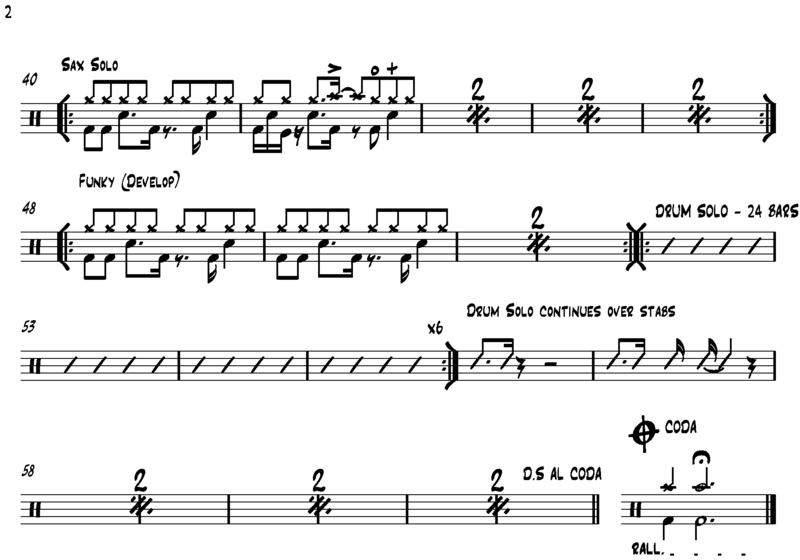 The groove on this one was quite complicated, consisting of a displaced snare drum pattern accompanied with a lot of ghost notes. I used a lot of the research I did into improvisation for this one. The drum solo was just drums only, so I have attempted to incorporate technical flare and fills with elements of groove. 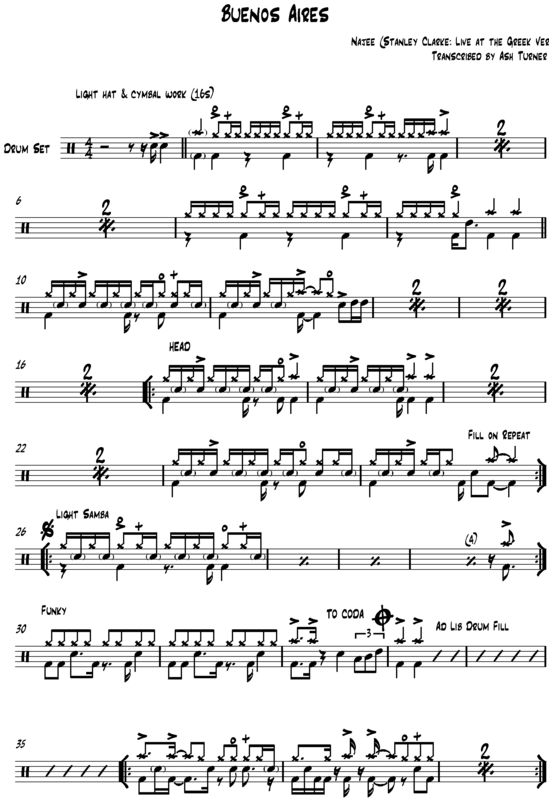 I rehearsed the solo, taking of the snare wires and bringing in the cowbell and toms to try and match the style of the piece and to try and stick with elements of the original.